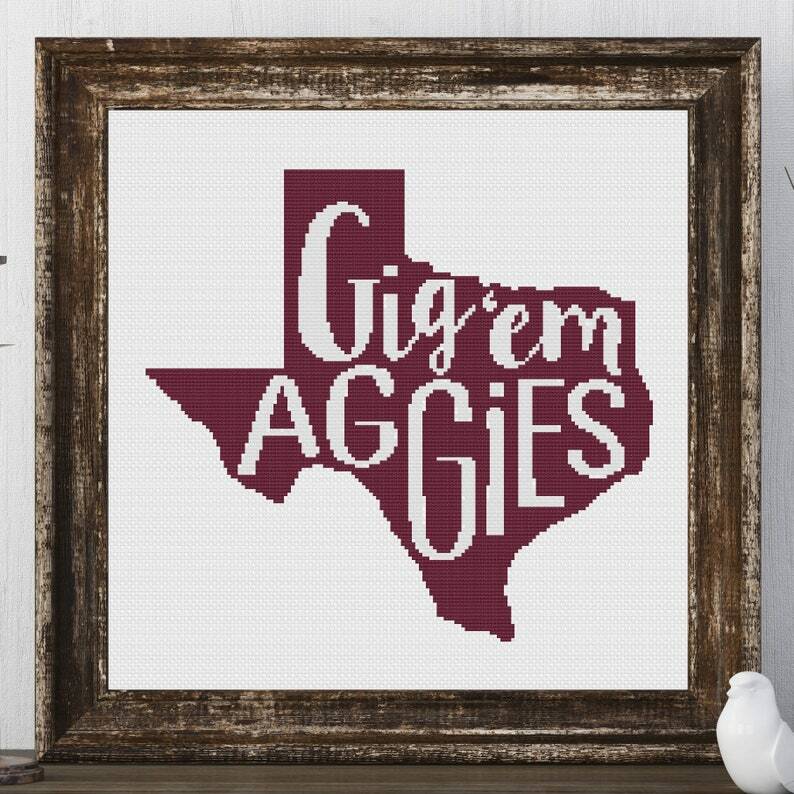 Gig 'Em AggiesTexas A&M University cross stitch pattern. Howdy! My two Aggie girls needed some WHOOP deco for their apartment this fall, so I decided to come up with some cross stitch designs. This easy and fun cross stitch is perfect for any A&M fan! It also matches the other A&M designs in my shop. Make a little bit of homemade for yourself or a friend! Finished size of pattern: 9.9 high x 9.7 wide (inches). Pictured in a 12 x 12 frame. These are easy to find at your local craft store and it makes for an easy and fun way to finish off your projects! Give as a gift or keep it for yourself!